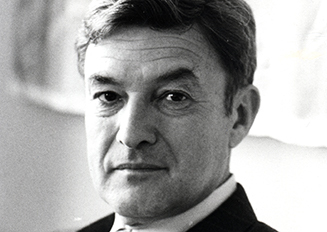 Jack Greenberg succeeded Thurgood Marshall as LDF’s second Director-Counsel from 1961-84. Greenberg first joined LDF in 1949 as a 24 year-old Columbia Law School graduate. At the time, Marshall was looking for an assistant to help fight Jim Crow. A few years later, a 27 year-old Greenberg became the youngest member of the team of lawyers that brought the Brown school desegregation cases to the Supreme Court. At LDF, he was an assistant counsel from 1949-61 under the aegis of Thurgood Marshall. He died in 2016. He litigated the landmark Brown v. Board of Education case that overturned the “separate but equal” doctrine. In total, he argued forty cases before the Supreme Court including Alexander v. Holmes County Board of Education which mandated segregated school systems to desegregate “at once” and Griggs v. Duke Power Company, which prohibited relying on employment and promotion decisions on the results of tests with discriminatory impact. He scored a major victory in Furman v. Georgia in which the Supreme Court held that the death penalty violated the “cruel and unusual punishment” clause of the Eighth Amendment. He also litigated Meredith v.Fair in 1961, which resulted in James Meredith’s integration of the University of Mississippi. In 1963, Martin Luther King, Jr. called on Greenberg and LDF to handle all demonstration cases in which the Southern Christian Leadership Coalition was involved. He oversaw cases ranging from the elimination of racial restrictions on the use of public parks; to discrimination in health care; to busing as a means to integrate public schools. Greenberg retired from LDF in 1984 and returned to his alma mater, Columbia University, where he had received his undergraduate and law school education. He was an adjunct professor at Columbia Law School from 1970-84; a visiting lecturer at Yale Law School in 1971; and a visiting lecturer at Harvard Law School in 1983, in addition to other positions. He served as Columbia College’s Dean from, 1989-93. In 2001, Mr. Greenberg was awarded a Presidential Citizens Medal. President Clinton noted “”In the courtroom and the classroom, Jack Greenberg has been a crusader for freedom and equality for more than half a century.” Five years earlier, the American Bar Association awarded him the Thurgood Marshall Award for his outstanding contributions to civil and human rights. Jack Greenberg wrote Crusaders in the Courts: How a Dedicated Band of Lawyers Fought for the Civil Rights Revolution both a memoir and the definitive biography of LDF’s history. In the book, he reflects on his self-described “moderate iconoclasm” as a Jew born and raised in the Bronx fighting for civil rights. He outlines the legal strategies employed by LDF to achieve landmark victories and offers a vivid portrait of his predecessor and mentor Thurgood Marshall. Greenberg, who grew up in the Bronx, also describes the role that Jews played in the civil rights movement. Greenberg saw a resemblance between anti-Semitism and black oppression in the United States. Raised in a family committed to fairness and justice, Greenberg became part of the black world of the Civil Rights Movement—sleeping in segregated hotels, eating in segregated restaurants and even denying his own skin privilege in pursuit of justice. Greenberg is also a founding member of Human Rights Watch and Mexican American Legal Defense Fund. He participated in human rights missions to the Soviet Union, Poland, South Africa, the Philippines, Korea, Nepal, and elsewhere. 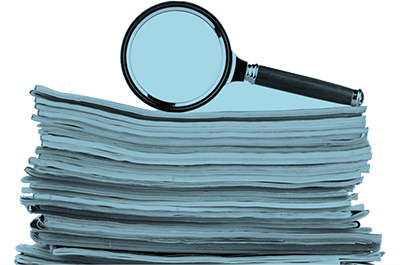 Greenberg’s myriad other publications include Race Relations and American Law (1959); “Litigation for Social Change,” (1973); Cases and Materials on Judicial Process and Social Change (1976); Dean Cuisine: The Liberated Man’s Guide to Fine Cooking (with Vorenberg, 1991); Crusaders in the Courts; Legal Battles of the Civil Rights Movement (2004); Brown v. Board of Education; Witness to A Landmark Decision (2004) and articles on civil rights, capital punishment, and other subjects.